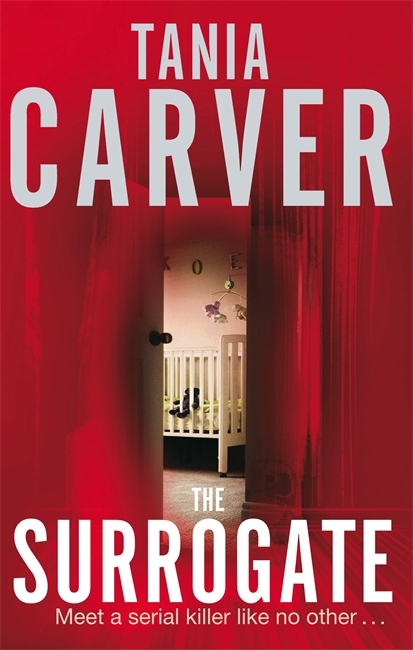 I picked up The Surrogate for the very simple reason that I'd never read anything where the plot occurs somewhere that is local to me, let alone a crime series. As such, I was curious to see how the more-or-less peaceful market town that I'm familiar with would be portrayed. 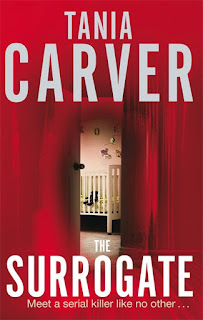 The Surrogate follows DI Phil Brennan as he is called to the scene of a serial killer's latest brutal crime. This killer has been targeting heavily pregnant women, incapacitating them and then removing their unborn child. With significant pressure from his superiors to get the murderer behind bars, quickly if possible, a criminal profiler is brought in to assist their more traditional police work. But the woman they bring in, Marina Esposito, has some unresolved history with the local police, and with DI Brennan in particular. I think I might have an inkling how weird it must be for Londoners to keep reading about murders happening practically on their doorstops now. Even though I knew it was coming, I had quite a few moments when reading this initially where my brain would pause and go "I used to go swimming there". Not especially helpful when reading about the killer stalking his next victim, but there you go. It mostly wore off by the end, so I guess it must be a feeling that wears off pretty quickly. For the most part, I did sort of wonder why the author had chosen Colchester of all places to place her murder mystery. There is a line right at the beginning of the book where one of the officers gives the whole "crimes like this don't happen in a town like Colchester" spiel, only to refer to Ipswich not expecting the activities of the Suffolk Strangler back in 2008. The thing is though, I remember the atmosphere back when those murders were happening, and the feel of the book doesn't seem to match up. When I was growing up and the Suffolk Strangler was active, the tension was palpable wherever you went, even if you were trying to carry on as normal. With The Surrogate, I guess I was expecting to see a similar sort of fear and tension, especially considering the brutality of the crimes depicted, but there didn't seem to be any real kind of reaction from the general public shown at all, which I found a bit disappointing. There is tension, certainly, but it doesn't seem to have anything at all to do with the location; honestly, if I hadn't recognised a load of landmarks from personal experience, it could have taken place anywhere, and it seems like a waste of a decent setting. In terms of the actual murder plot, I thought it held up pretty well. The murders are intensely disturbing, especially when your heavily pregnant coworker is sat right behind you. Quite glad I don't get asked about my reading material much these days, now that I think about it. There are a lot of twists and turns, and a couple of rather clever red herrings thrown in. Really good all in all, but not something that I can really discuss in great detail. The other sizeable part of the plot deals with the relationship between Phil Brennan and Marina Esposito, as they meet as ex-lovers whose last encounter ended more than a little messily. I feel kind of torn about this. On the one hand, the two of them are interesting, incredibly damaged people who I want to read more about. Hell, this was the first time that I've read a book where a main character regularly has panic attacks and just has to muddle along with it. On the other hand, I don't think that the romance was necessarily handled all that well. If I hadn't checked, I would have assumed that I had accidentally picked up the second book in the series, as their prior relationship is kind of skimmed over and felt more like a recap from a previous story. Additionally, I feel like the previous relationship was used almost as a crutch in place of building sexual tension. I mean, their relationship healing is a big part of the narrative, to the point where it begins to feel tumorous and a bit melodramatic sometimes, but there didn't really seem to be much in the way of actual feeling behind it. So yeah, a bit conflicted.